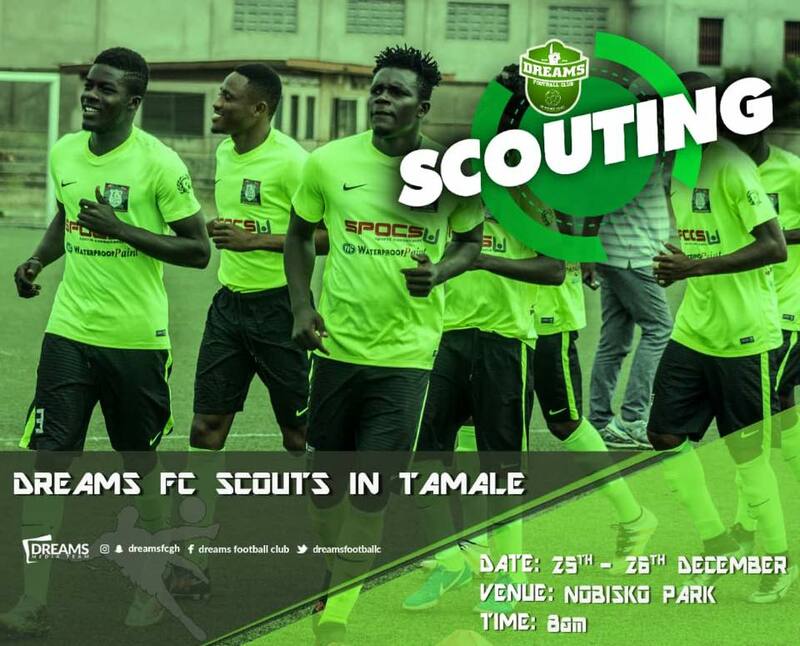 Ghana Premier League side Dreams FC will hold a scouting programme in the Northern regional capital, Tamale. The exercise will take place on Christmas Day December 25 and Boxing Day 26 at the Nobisco Park. The Premier League will be scouting for talents amid the current state of local football. This is the second time the exercise will take place in Tamale after a similar one back in June this year.